A lovely designs illustrating a teddy holding a heart. 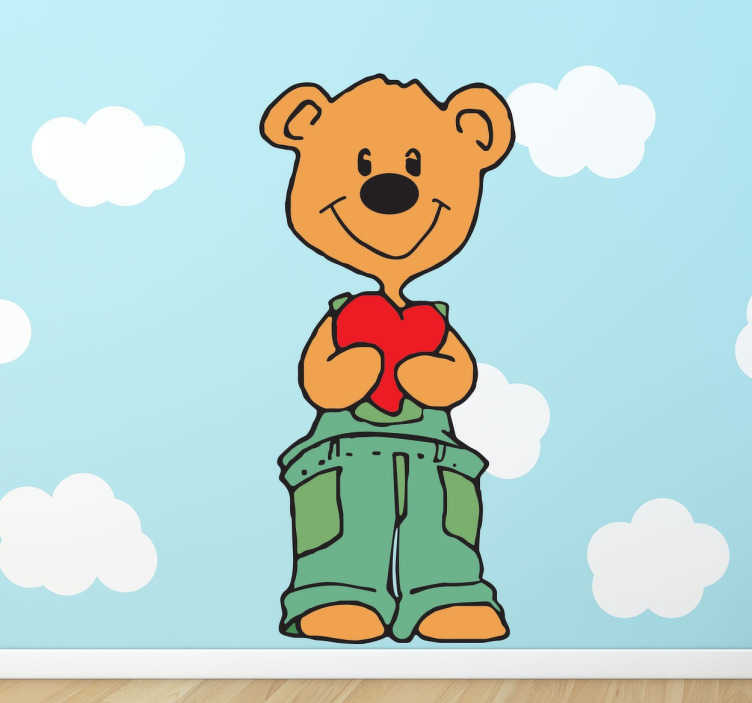 A teddy decal from our collection of teddy bear wall stickers suitable for all ages. Give this teddy a home by placing this fantastic design on your child's bedroom or play area. This cute teddy is suitable to decorate all smooth surfaces and leaves no residue upon removal. Easy to apply.